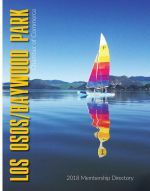 Baywood Inn is located on Morro Bay on the California coastline, just 10 miles west of San Luis Obispo. Nestled in a tranquil neighborhood overlooking the beautiful Morro “back” Bay, the Inn is close to Hearst Castle, Montana de Oro State Park, the Morro Bay Bird Sanctuary and the great wineries of Templeton and Paso Robles. Los Angeles Magazine touts Baywood Inn as “The best romantic inn within 200 miles of LA”. Come see for yourself.